Over the past several years, trail running has had a huge increase in popularity. Through books like Born to Run , people were exposed to the limitless possibilities trail running has to offer. People are eager to leave the streets and pavement for the dirt and trees, they just need a good place to start. 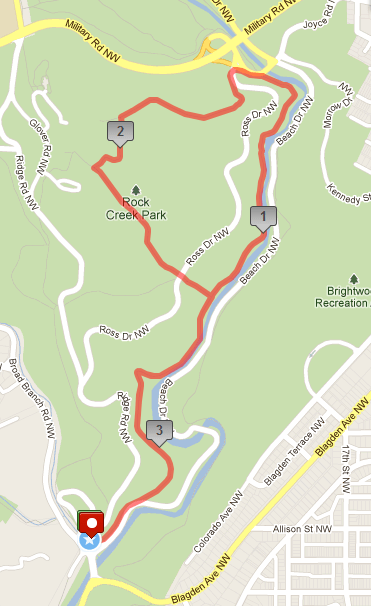 Thankfully for those of us in Washington, D.C., Rock Creek Park offers a variety of trails for the dirt runner. Some are more technical, but others are a great place for new trail runners to get a feel for the sport and begin training the body for the differences you face when running on trail instead of pavement. 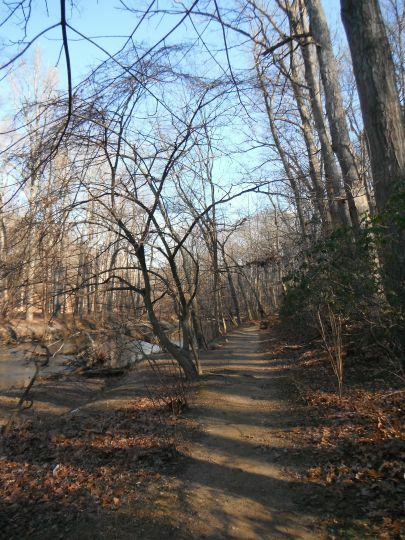 In the northern half of DC’s Rock Creek Park lies about 13 miles of horse trail. Most of it sits west of the creek. These trails offer up some of the best, fastest, and easiest trail running in the area. The wide and mostly smooth paths are mostly absent of large rocks and roots, which allows the runner mostly solid footing. While they can be hilly, these horse trails are different from trails like the Valley Trail, which has lots of quick ups and downs. They offer more steady climbs and decent, giving the runner a place for strong workouts on very runnable terrain. Directions: The best place to access the trails is right at the intersection of Broad Brand Road and Beach Drive. This is also right where Beach Drive starts being blocked off to cars on holidays and weekends. You will find two parking lots and bike racks just down the path towards Peirce Mill. When facing north right at the Beach Drive gate, you will see two trails on your left. The first shooting straight up the hill is the Western Ridge Trail, a great option for trail runners of all levels. The second is the start of a horse trail which runs alongside the creek. This is the perfect trail for beginners to hit the trail, and the start of what I like to call the ‘Beginner’s Loop’. When people talk to me about where to try out trail running in Rock Creek Park, I almost always point them to the same place. Most people who run or ride in RCP do it on Beach Drive, so they are familiar with this section of the park. What they may not know is that from the same parking areas is a perfect 3.5 mile loop for beginner trail runners. This section of horse trail is popular for hikers, dog walkers, horse riders, and runners alike. Because a large section of it runs along the creek, it is nice and cool and about a mile is nearly flat. The Loop: Starting from the Beach Drive gate, run up the trail for about 1/3 mile before dropping back down to Rock Creek. For the next mile you will follow along next to the creek on what is one of the best places for fast trail running in the park. Follow the horse trail until it hits Joyce Road and the bridge (mile 1.45). Turn left beside the road before crossing over with Ross Dr. and Joyce Rd. intersect. Cross the road and turn left onto more horse trail which climbs into the woods and away from the creek. Keep left at all of the trail forks, which lead you deeper into the woods before dropping back down toward the creek (mile 2.2). You will then run down the hill, beneath the bridge, and eventually intersect the original trail which ran along Rock Creek. Take a right and follow that trail back to the start. The loop is about 3.5 miles in distance. As you can see in the elevation chart below, it isn’t particularly flat, but is well maintained and very runnable. Trail running is different than road running. It works different muscles, can test your ankle strength, and is generally much slower than running on pavement. As a general rule of thumb while you are first testing the waters, it is better to judge your workout from time than distance. A 3.5 mile trail run may work your body more like a 5 mile road run. Don’t be discouraged if you fatigue quicker than normal and don’t hit the splits you expect.